Presenting a collaborative project with some of the most innovative, artistic, professionals in the nation. The hottest instructional DVDs in the West Coast Swing market! 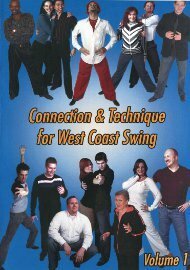 Learn from 15 professional West Coast Swing dance instructors, all on the same 3 hour and 15 minute DVD. This covers 24 different topics about connection technique, dance technique, and fundamentals for West Coast Swing. Champion instructors include Skippy Blair, Chuck Brown, Tessa Cunningham, ChristoFUnk DeMaci, Jesse Dickson, Edwin Li, Rich Lundin, Jennifer Lyons, Jim Minty, Ben Morris, Myles Munroe, Melina Ramirez, Terry Roseborough, Libbat Shaham, and Doug Silton. It’s a little hard to decide if this is a beginner, intermediate, or, advanced disc. It includes fundamentals, things you can change to get better, and, advanced tips and techniques. These are things like timing/musically, playing with holds, positioning your body in your dance space, tracking your partner, etc. Between the stuff you must do, things you could do, and things you might do, it’s a little hard to know – before watching a section – what you might get out of it given the level you may be approaching this from. If you’re a beginner, a lot of this will be over your head, as an intermediate or better dancer, a lot of these will be things you’ve covered many times. 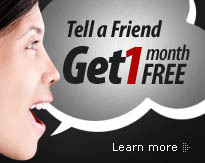 You’ll just have to – as the collection of instructors on this disc do – muddle through as best you can. Again, there are “must do,” “could do,” and “might do” things here. We watched it several times and each time we skipped more stuff, but liked a few things better each time. In short, we found it provided more detail here and there on some things, but it wasn’t much different from most other discs in other places… If you just imagine the entire thing as a summary of different classes over a workshop weekend – with each instructing couple reviewing their class’s highlights - it can be a useful disc. Pick and chose.